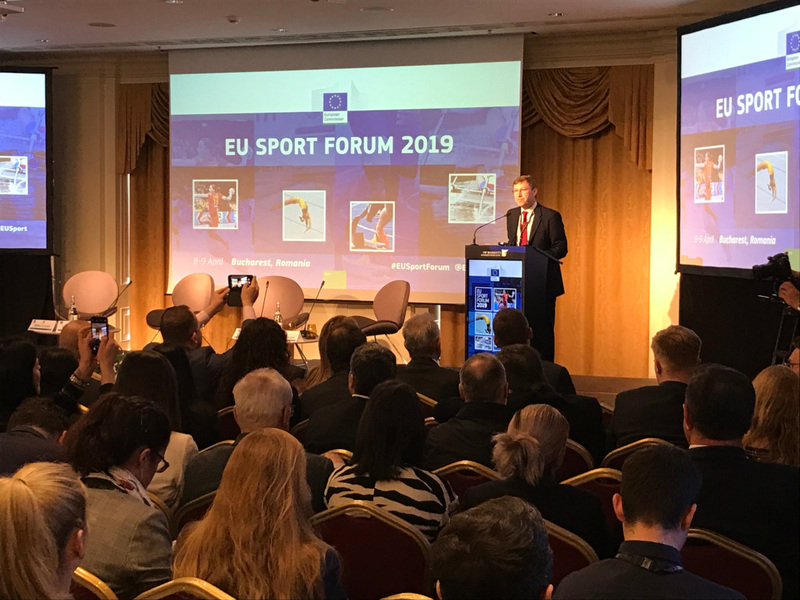 The European Commission, in collaboration with the Romanian presidency, hosted this year’s European Sport Forum on April 8 and 9 in Romania’s capital city, Bucharest. This event has over the years become a key meeting for the European and international sport family, giving participants a unique opportunity to exchange and discuss views with policy makers of the EU institutions and Member States while tackling a range of topics during plenary and breakout sessions. Over 350 participants attended the two-day Forum, with EUSA represented by its President Mr Adam Roczek and Secretary General Mr Matjaz Pecovnik. The Forum commenced with an introductory welcome session by Mayor of Bucharest Ms Gabriela Firea; Ms Antoaneta Angelova-Krasteva, Director for Innovation, International Cooperation and Sport, DG EAC, European Commission; Member of the European Parliamnet Mr Santiago Fisas and Mr Mihai Covaliu, President of the Romanian Olympic and Sports Committee. 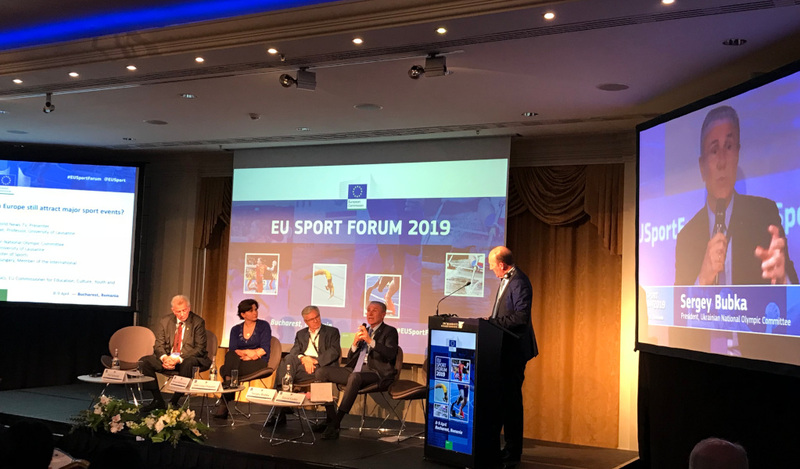 A number of different discussions were held throughout the course of the first day, including plenary sessions on doping in sport, the role of sport federations in the promotion of European sport and whether or not Europe can still attract major sports events. There was also a presentation on empowering girls through sport, as well as parallel sessions on the right and interests of athletes and schools’ contribution to the promotion of healthy lifestyles. The second day of the Forum kicked off with back-to-back parallel sessions discussing the protection of sport rights in the EU/how grassroots sport should be financed and justice in sport/challenges of less popular sports, before a plenary session on how Europeans will engage in sport in the future, followed by concluding remarks, officially closed the Forum. 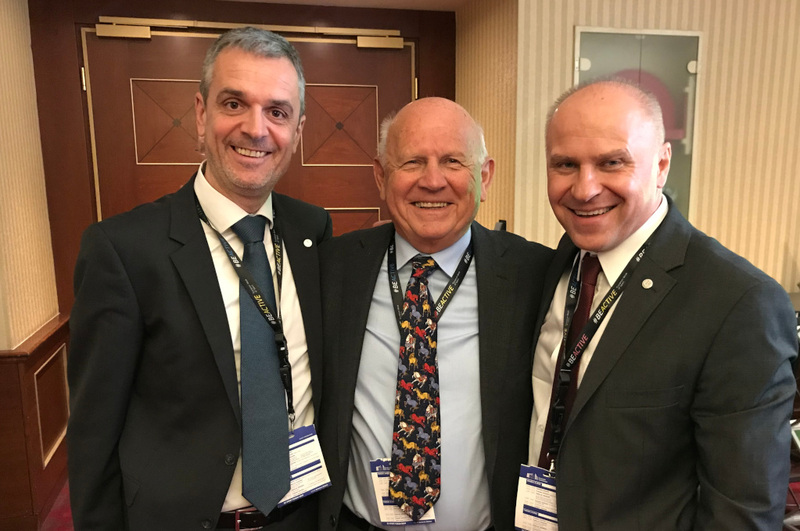 The Forum presented the perfect opportunity for EUSA to network, strengthen partnerships with established partners, as well as establish contacts with potential new partners. Mr Roczek and Mr Pecovnik also made use of the occasion to meet with presidents and representatives of various partner organisations such as the European Olympic Committees, European Paralympic Committee, European Handball Federation, European Table Tennis Union, Badminton Europe, European Non-Governmental Sports Organisation (ENGSO), European Athlete as Student (EAS) - the Dual Career Network and several others. EUSA is happy to report that the Forum was also attended by several university sport family members and representatives.